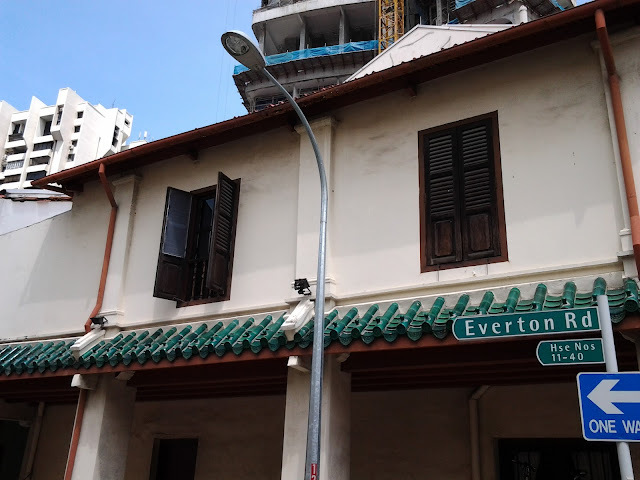 Everton Road with its charming shophouses -- some are original and dating back to the late 1800s. 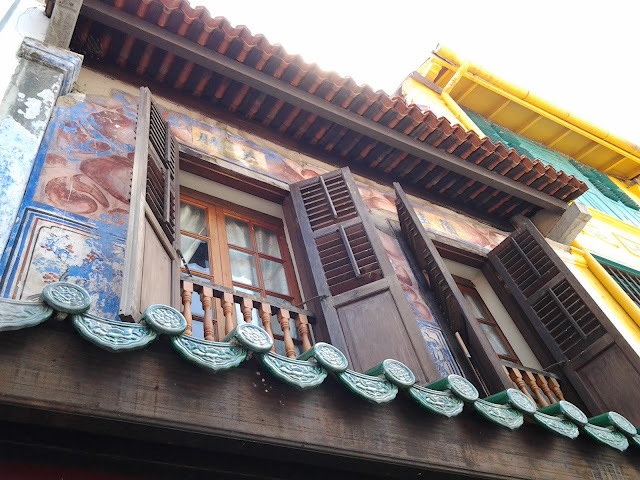 Pictures: 7 May 2016. 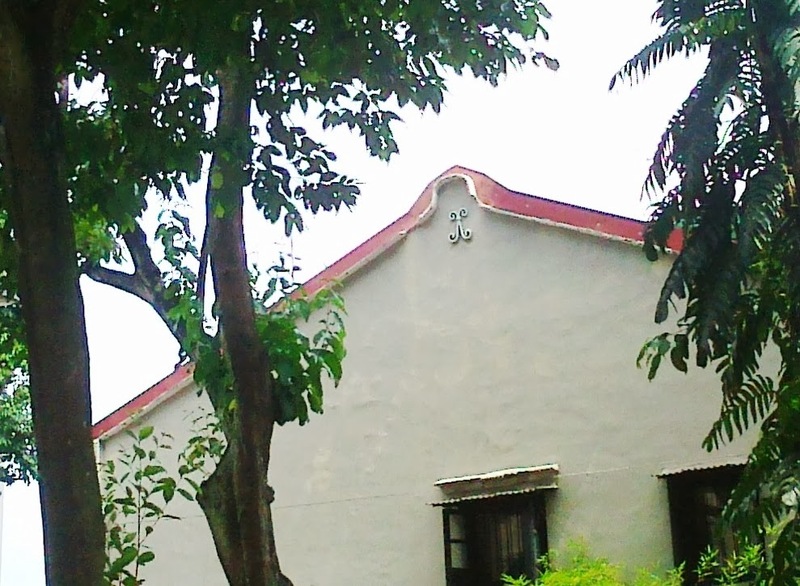 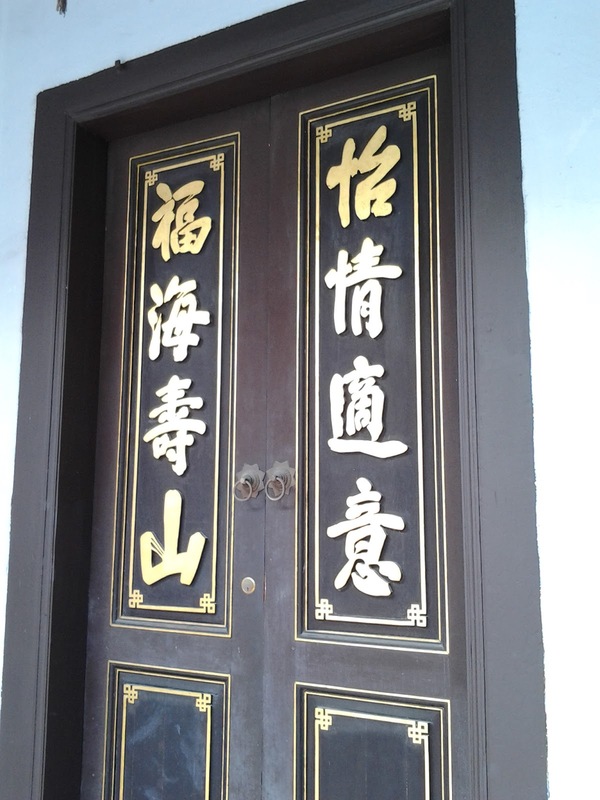 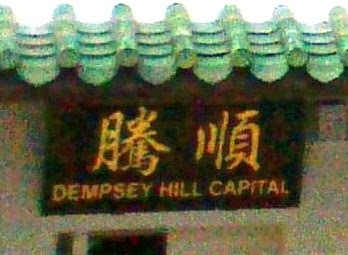 Traditional wooden signboard on top of entance. 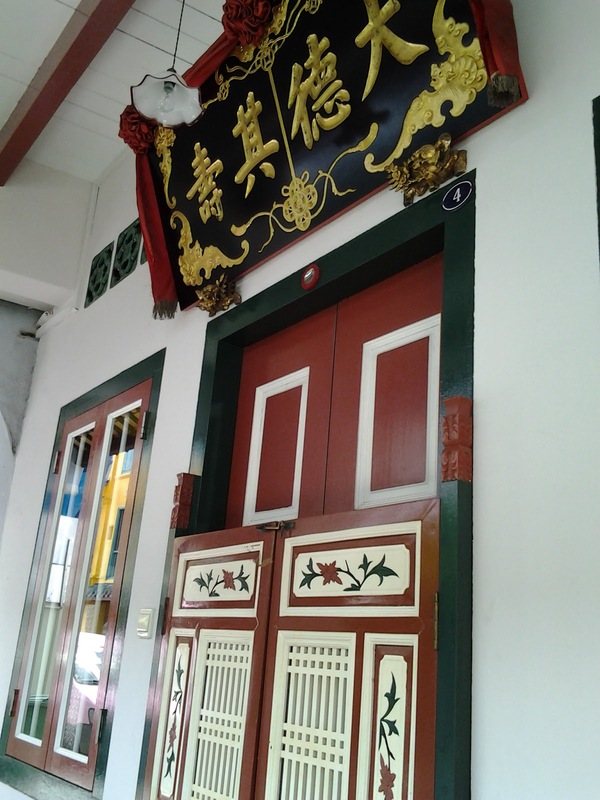 Traditional outer swing doors. 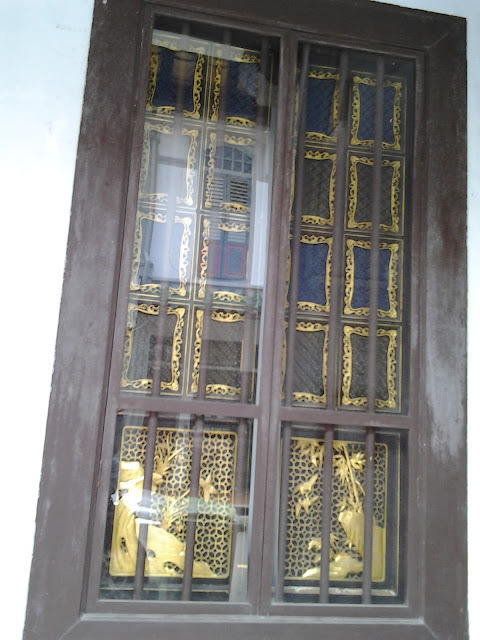 Windows (below) decorated with gold motifs. 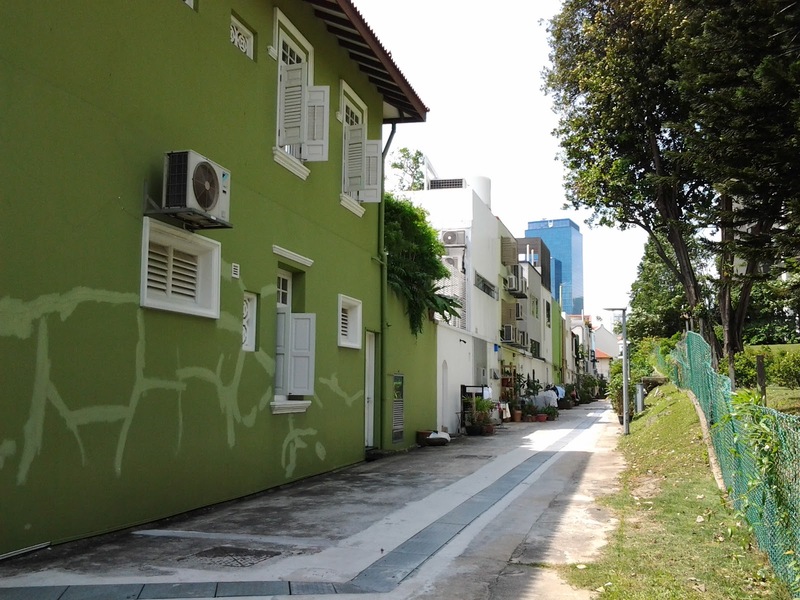 66 Spottiswoode Park Road. 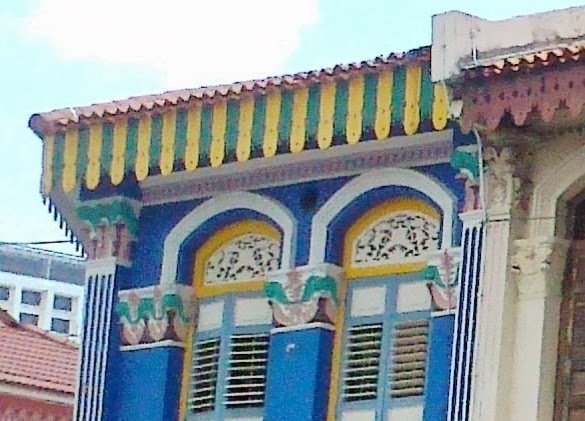 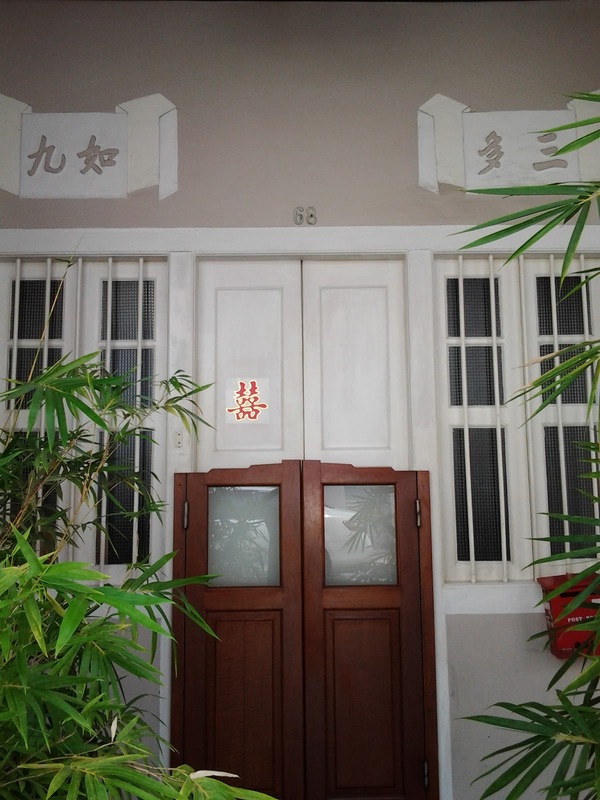 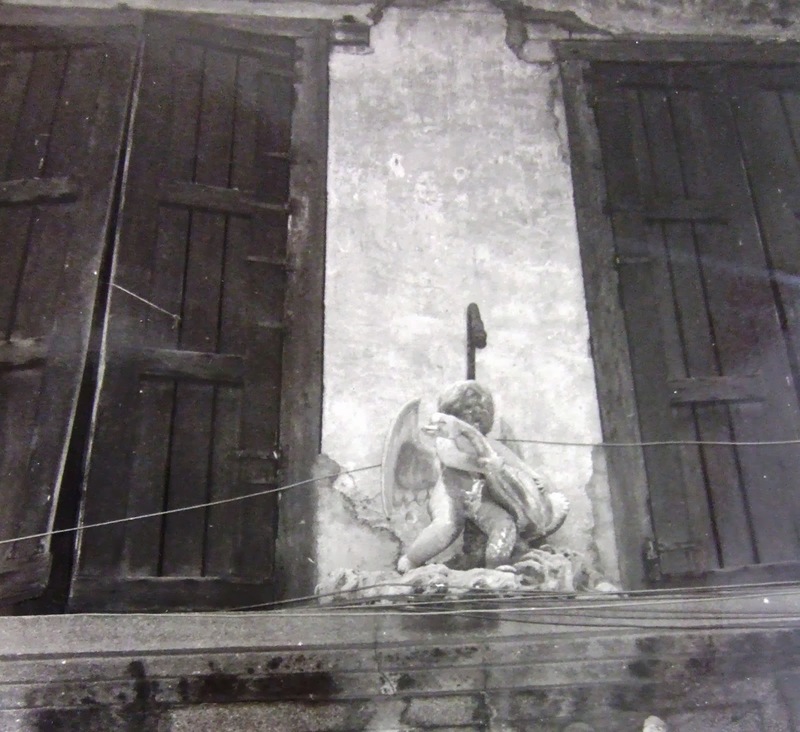 An oft-photographed shophouse as its original 19th Century artwork got peeled off, uncovering the only known example of an intact and original 19th century decorative scheme in Singapore -- according to the URA website. 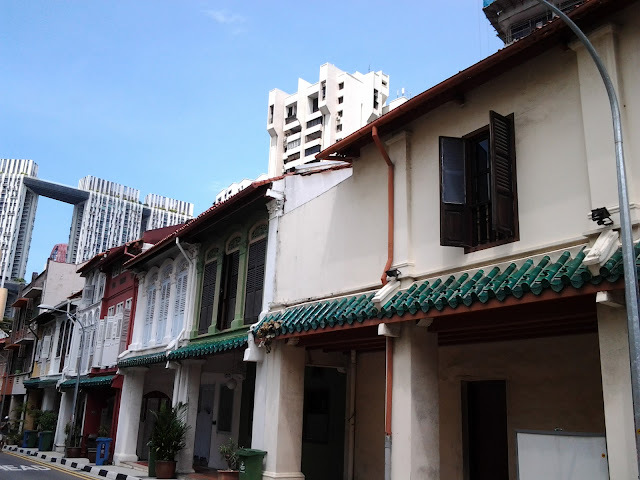 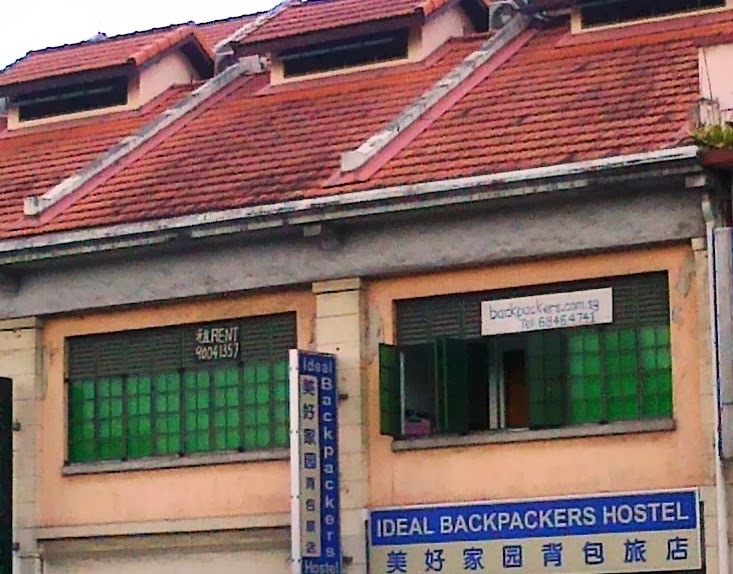 Back of shophouses facing Neil Road.